Redemptorist missionary Rev. Jerome Andrew Murphy died on April 17, 2015, in the St. John Neumann Residence at Stella Maris in Timonium, Md., amidst the prayers of his confreres. He was three days short of his 94th birthday. 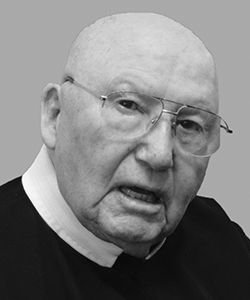 Read or download Father Murphy’s full obit here.